National Restoration Party (NAREP) president Elias Chipimo says the fight against corruption in Zambia must start from the very inner circle surrounding Edgar Lungu. Commented on the move by the Anti-Corruption Commission to probe former Information and Broadcasting services Minister Chishimba Kambwili, Chipimo said corruption in Zambia had become a culture hence the fight to curb it should not target individuals who have fallen out of favour with those in power. “We don’t believe that there is any seriousness in this fight against corruption in this country. You are only going to be branded as corrupt and action taken against you if you happen to have fallen out of favour of those who are in power. And so what this reveals is that there is no seriousness and if we are to deal with corruption, it must start from the very center within the circle surrounding the President,” Chipimo said. Chipimo agreed with Kambwili who said there was corruption everywhere in government. “However as Mr Chishimba Kambwili himself pointed out, and who are we to deny when a former Minister says that there is corruption right in government all the way through? 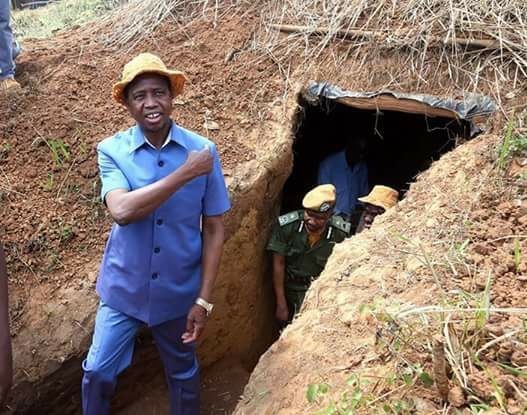 It means we have to take him at his words and we are aware just as ordinary Zambians that corruption has become a culture in this country, it has become normal to a point where although its abnormal, people don’t seem to think that its abnormal anymore,” he said. He observed that the source of corruption in Zambia was not being dealt with. “And if they are serious about the fight against corruption, we should not be targeting individuals who happen to have fallen out of favour as a way of addressing corruption because we are not dealing with the source of the problem. We have seen this with Mr Davies Mwila the PF party Secretary General who went around busy promoting corruption in councils to total silence from his superiors including those who were with him when he was making the statement that out of 500 plots, 200 should be kept by the council and only 300 should be made available to the public,” recalled Chipimo.